Are you a design practitioner eager to become more strategic? Are you a business professional who wants to become more innovative? In this course, made by the world’s first strategic design school, you’ll follow the lead of big successful companies who already create new business opportunities and spark innovation by practicing design. This course will introduce you to a hands-on design approach for finding new business opportunities. You will experience first-hand how design can be of value for your organisation. You’ll be challenged to create your own concepts that generate new business opportunities. 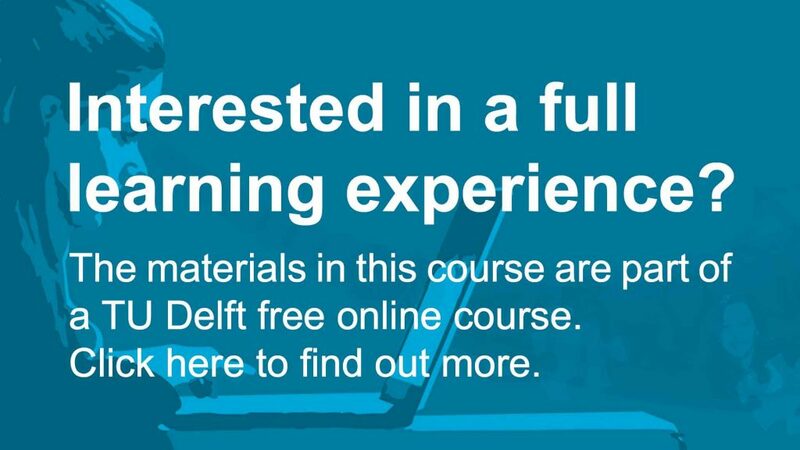 Design Practice in Business by TU Delft OpenCourseWare is licensed under a Creative Commons Attribution-NonCommercial-ShareAlike 4.0 International License. Based on a work at https://ocw.tudelft.nl/courses/design-practice-business/.